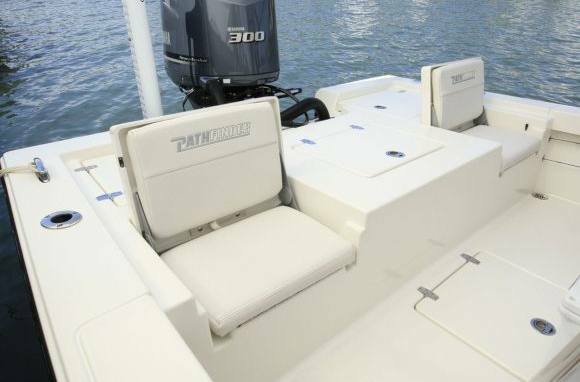 Take the best features across the whole Pathfinder line-up, add in some new ones and then mold them all together; the result is the new Pathfinder 2400 TRS. 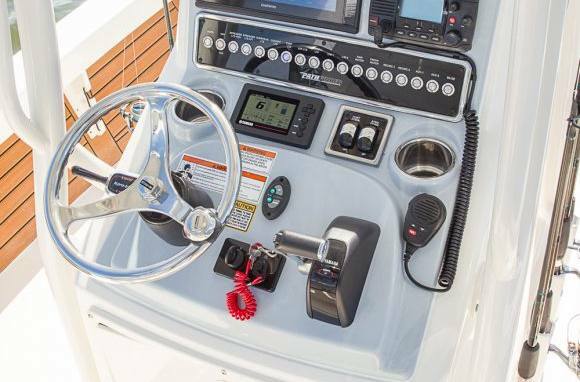 Higher sides, a deeper cockpit and added width gunwale to gunwale make the 2400 TRS the roomiest big water Pathfinder yet. 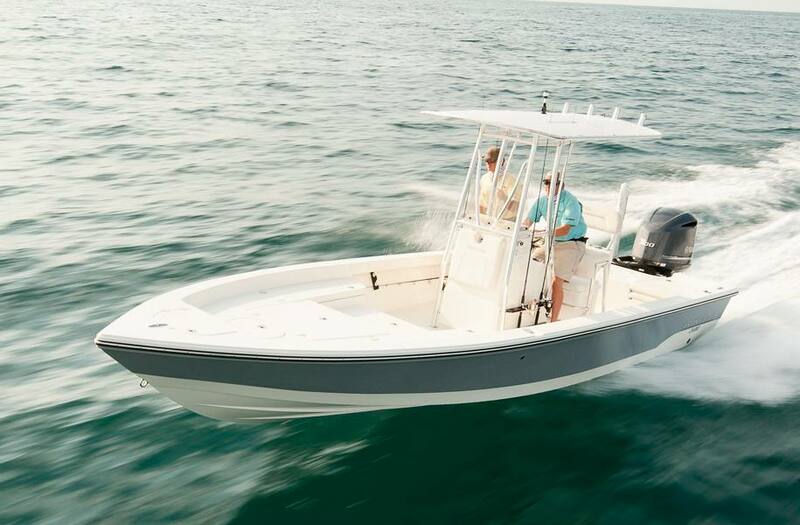 Standard highlights include walk around gunwales, under gunwale rod storage for rods up to 9.5', a stepped forward deck with added storage that can double as a fish box and integrated aft deck seats. 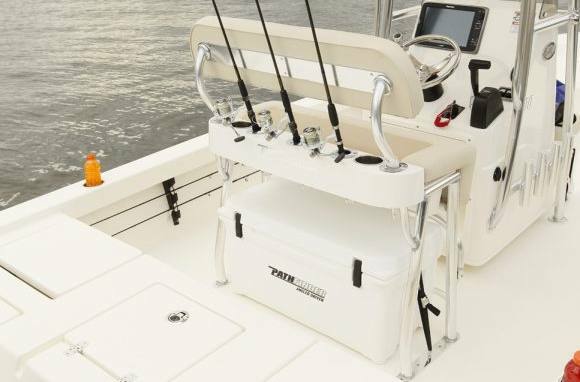 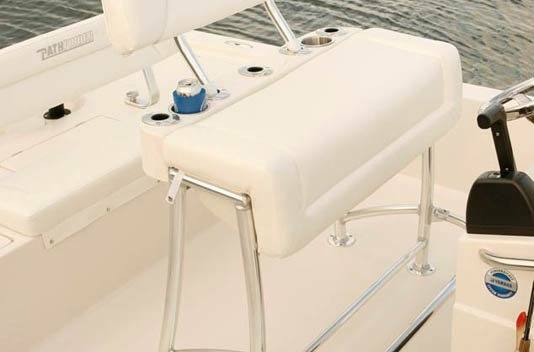 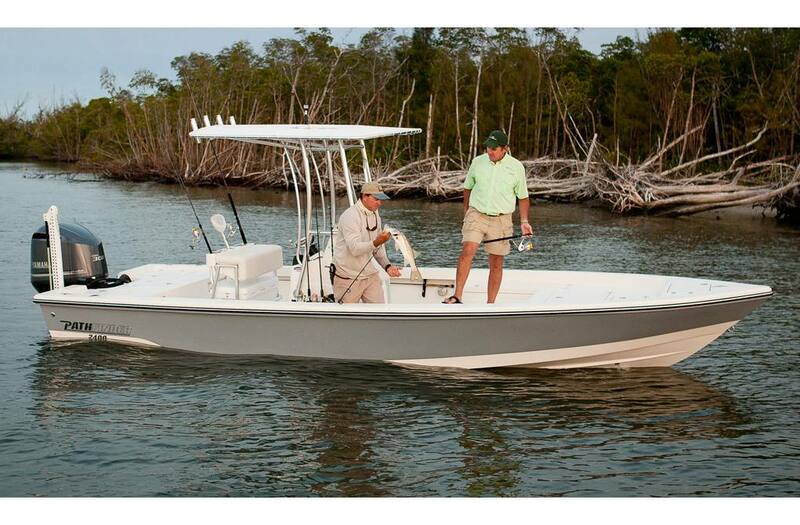 The raised console with toe kick offers an integrated foot pod with lockable glove box and on the front side has an access door and interior tackle tray system that can be removed to allow for easy access to the helm area. 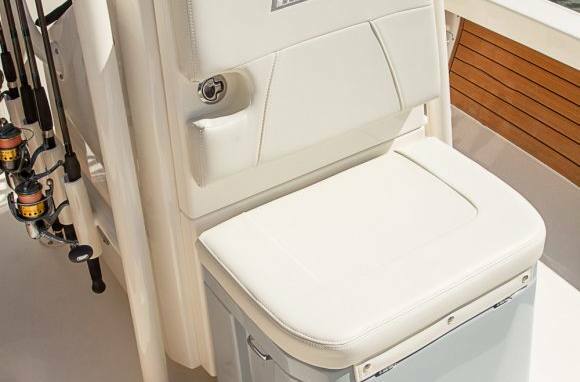 Maximum capacities: 9 persons or 2,000 lb.